The Rock Your Culture guide is a tool designed to help business leaders and HR professionals define, leverage, and (if necessary) change their corporate cultures for the better. This isn't your standard book. It comes with worksheets, Q&amp;A videos, and other exclusive content to help the other culture fanatics out there take control of this valuable business tool. Part experience, part theory, and part step by step instruction, this is one guide that you don't want to miss. 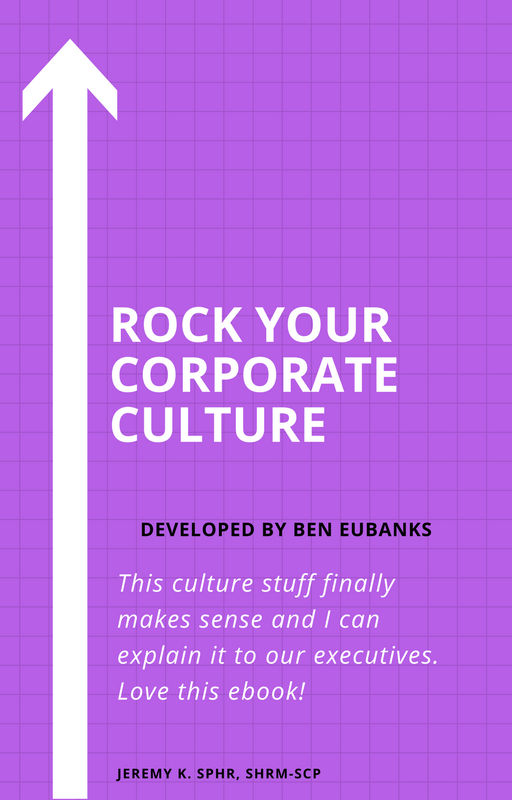 Get your copy of the <a href="http://upstarthr.com/rock-your-corporate-culture">Rock Your Corporate Culture</a> guide today!